This it the other type of heel pain that often brings patients into the office. The Achilles tendon is the largest tendon in your body and when it has been strained or hurt you certainly know it! This is usually a more serious injury than plantar fasciitis and I would always recommend seeing your foot doctor if you are having pain in the back of the heel. They will be able to take xrays and palpate the tendon to make sure it is completely intact. If you have been evaluated and the doctor says you need to immobilize the tendon then make sure you are wearing your boot any time you bear weight on your foot. This will be a great way to help yourself. Icing and elevating when you get a chance during the day will also help improve how soon you will get better. 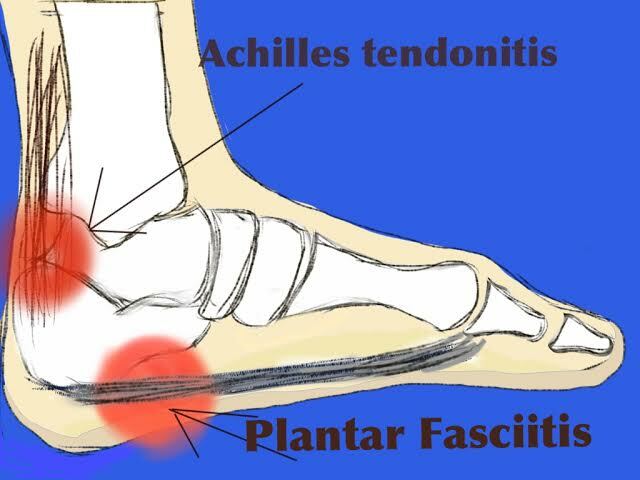 Insertional Achilles Tendonitis is located right where the tendon attaches to the middel third of the calcaneus(heel bone in normal peope terms). When our calf muscles are tight we often wind up with a tight insertion of the Achilles. Many people describe a large bump in the back of the heel as well. Sometimes this is improved with icing, stretching and in some cases a heel cup to lift the bump on the back of the heel out of the heel counter of the shoe. Also, a night splint can be worn at rest or while sleeping for a constant stretch. But it is always worth a visit to your doctor to see if there is more that can be done for you. Also, if you are able to take and anti-inflammatory this can greatly improve the swelling that often accompanies this type of injury. This pain is on the Achilles tendon but above the heel bone itself. This can be much more challenging for one to get better. Icing and stretching may work early on, and anti-inflammatories. Also, a night splint can be worn at rest or while sleeping for a constant stretch. But for some a period of immobilzation in a cam walker is necessary (a cam walker is a boot that is removable but is worn when ever you are walking on the foot.) Non insertional Achilles tendonitis sometimes requires surgery but the sooner you seek treatment from a doctor the sooner you are on the road to recovery. This does not have to be a surgical problem in many cases. This is a problem that requires immediate attention from a doctor. 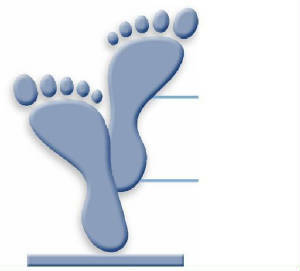 Many people describe a popping type feeling in the back of the ankle followed by difficulty or complete inability to point the toes down on the foot. Often an MRI is performed to see the extent of the damage. Depending on many factors, the patient may or may not require surgery. It is best to be seen by your doctor ASAP!